90th Birthday Decorations - Celebrate in Style! Add a festive touch to your party with cheerful 90th birthday decorations! Whether you're planning a casual family get-together or an elegant evening soiree or something in between, take a little time to bling out your party with decorations chosen to fit the occasion. 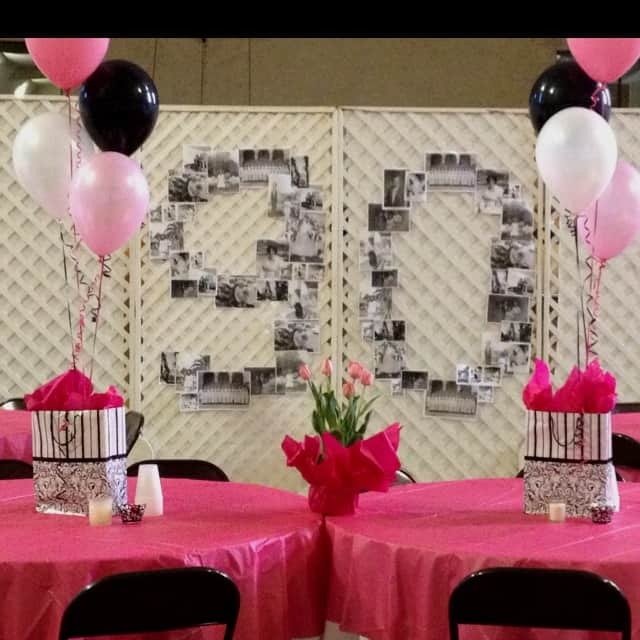 There are so many different ways to decorate for a 90th birthday celebration. Decorating ideas range from the very easy to quite extravagant. Your decorations will depend partly upon how well you know the person and how much time you have to organize the party. The easiest way to decorate for a 90th birthday party is to purchase pre-made decorations, such as these festive "Celebrate 90" supplies. Pre-made decorations include balloons, banners, confetti​, dangling decorations, and centerpieces. Not all of your party decorations have to be "theme decorations" - you can pick up one or two pieces you like best. Just buy some plates and coordinating napkins, add a few balloons and you've got cheerful decorations that will make the honoree feel special. A milestone birthday party should celebrate a person's life - their accomplishments, their family, and 90 years worth of memories! One of the best ways to do this is to use decorations that incorporate photos from all stages of the celebrant's life​. You can choose to use just a few pictures - perhaps a baby picture, a childhood picture and an adult picture if you don't have a lot of time or easy-to-find photos. It's more impressive - although more time-consuming - to display a lot of pictures that honor the most important occasions. Use Facebook or email to contact family and friends to request pictures if you don't have enough handy. I personally feel that an oversized 90th birthday banner is one of the best bang-for-your-buck party decorations. Banners can be used either inside or outside to welcome guests to the party, to draw attention to the cake or dessert table, or as a​ festive wall or fence decoration. If possible, look for personalized banners - ones that feature the honoree's photo or photos are especially fun! Shindigz offers a fabulous selection of affordable personalized banners.​ They even have several banners that can feature more than one picture - nice for showing off the honoree at different ages of their life. What's a birthday party without balloons? Balloons just scream "party" - and a 90th birthday party cries out for special balloons! You can look for large mylar 90 balloons, which look fabulous near the cake table. ​ Or you can go with bunches of smaller latex balloons that feature 90th birthday decorations. Another fun idea is to attach pictures to the balloon strings to create a lovely and memorable - not to mention colorful - photo display. If you're looking for unique show-stopping decorations that are sure to ​be noticed, check out some of the more unusual offerings at Shindigz. 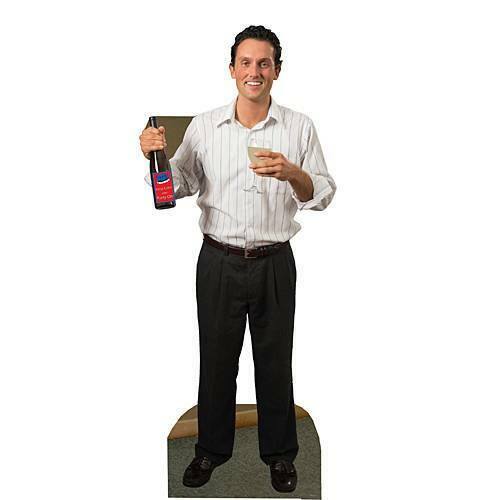 One of the﻿ most unique decorations they offer is a life-size standee - a full color cardboard figure of the honoree. You can add a speech bubble with text, or a motion activated voice recording. A unique way to greet your guests at the party! They also have table toppers that can be personalized (you can even add photos).​ The table toppers are fabulous accents to the dessert table, and a fun way to showcase pictures.